I was reading through your fishing reports today as I do about once a week, and I noticed the write-up titled “Cast & Blast”. I can certainly remember a couple of those morning sunrises and more than a few good shoots. But more than anything I remember the laughs and good times and some of those spectacular retrieves by a dog named Ruby. I had guys like Wilbur Vitols and Pete Deichmann in the blind with me, and no doubt I underestimated the quality of my company at that time. Good men for sure. Not sure if you remember, but my son Tuck, now 18 years old, killed his first ducks with you - and he did it with smoke billowing from a tire rim as steak and oysters cooked behind the blind. Hahahaha man those were some big flocks of bluebills. We were with you for his first ducks, his first tarpon, and his first big drum. I still have my eyes and dreams on an Argentina father/son duck-dove excursion one day. You are good to go on Dec. 20!. Looking forward to it. Did Never Enough Get Enough? Costa Rica has the best and most consistent tarpon fishing in the world. 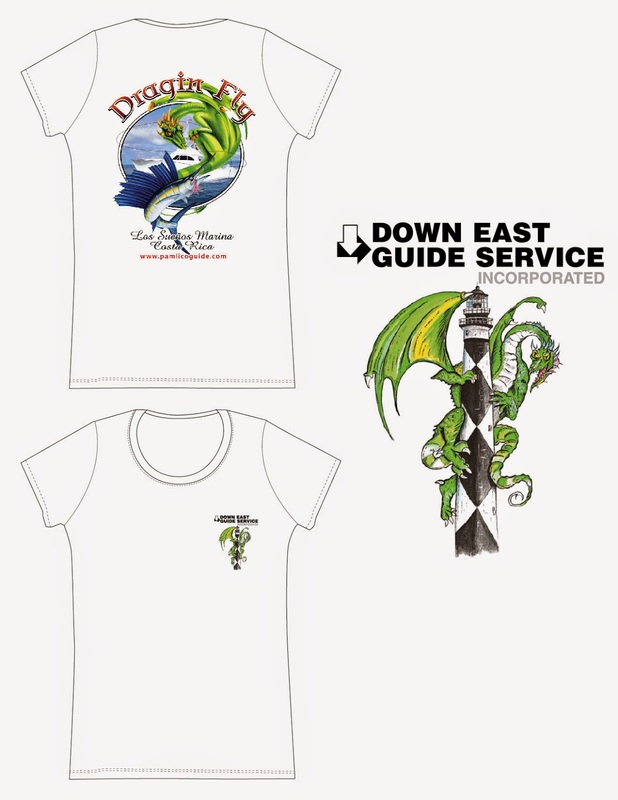 If you want one, give us a ring to make it happen or sign up for next year's trip. "Capt George, wind was a little tight, that wasn't all. Rocktober's been Epic. For me it was albies and some really, really good, up close and personal sight casting red drum in the surf. Very neat to watch them eat the fly from the tower. Up the river or at the coast, give us a ring to get out on the water in NC. and those albies are going to fire off tomorrow. Not to mention that it was just an absolutely beautiful day, clear skies, calm seas, light to slight breeze, there was some pretty good fishing to be had. I did not run into the bait balls of menhaden in the ocean that have been reported the last few weeks, but there were plenty of bait balls of glass minnows and anchovies with albies and bluefish blitzing through them. Capt. Al Edwards had a banner day with the albies on the fly in that same area. We caught some blues, jigged up some spots and pinfish and charged offshore with less than ideal bait for bottom fishing, but it was good enough. First drop we doubled up with a 12 pound gag grouper and a 30 pound amberjack, catching literally all the amberjacks we wanted to catch, Maximum pulledge. A few little bass and other odds and ends and we were on the way home. There have been multiple reports of cobia being caught and seen over the past few weeks, so just out of habit, I thought that I'd run the bouy chain on the way home. Twice I ran into big cobia, each one every ounce of 50 pounds and each one very, very finicky, especially with my weak, bottom of the livewell offerings. I even had a toad fish ready to throw at that big cobia if it came back around.....I bet that would've worked. Down the beach the albies were blitzing and it sounded like Capt. Sarah Gardner had the big drum balled up and fly rods doubled up. This cooler weather will probably prevent the cobia from taunting me again, but it will fire off those albies. If you want in, bring it on, we've got openings with some great guides. Big swell and strong winds going around the clock. Not much to report other than some real good king fishing along the beach, pups back in the sound and some decent trout/striper fishing up the river. It's been a lot of years since I messed around with duck guiding, it got to the point that it just wasn't fun. Legally hunting wild ducks is not easy and not consistently successful. Period. The up front costs of leasing land, building and brushing blinds, preparing decoys, boats and dogs.....or hiring a guide is expensive. Unfortunately there were too many customers who did not "get it". They felt entitled to kill and expected to kill ducks just because they spent their money on a guide. On the other hand, there were other customers who were just happy to be there. Tickled to death to watch the sunrise over decoys instead of through a windshield on the way to work. If they shot their gun great, but if they didn't, they'd wipe it off and put it back in the case until next time. The oysters were good, great steak sandwich and it was cool to cast at a striper or trout on the way home. Those are the people that I miss spending time with. No December tournaments or trips to the Galapagos planned this year, so I'll be around and thought that I may dabble in it a bit. Odd day yesterday, fishing from the Crystal Coast to the stained waters of the Neuse/Trent and all points in between has been really, really good, even what some would call "epic" ; but yesterday was a bust. Capt. Joe Ward was on a striper/trout trip up the river, fishing places that he has been killing them over the past few days, but for whatever reason they were not chewing yesterday. Conditions were slick calm with no current, maybe it was too calm.....but that should be perfect for fishing the albies and big spanish at the coast. It's been on fire there as well. Joe was ready to load up the boat and head to the beach when he got a call from one of the guides fishing for albies at the Cape. The report from the Cape was just as gloomy, not a fin was stirring and only two albies caught by the entire fleet. They were blaming it on the east wind. We've got some Big Fans! 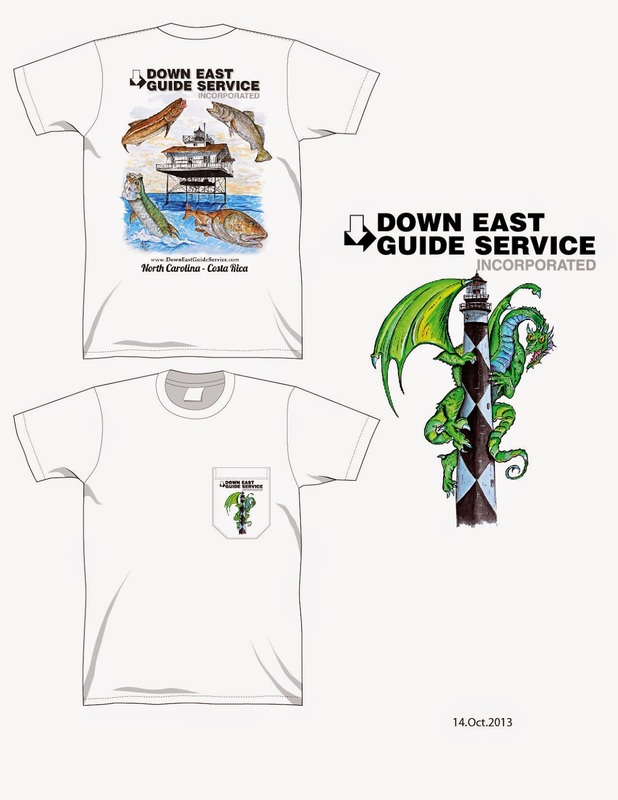 I just sent the last of our original Down East design XXXL t-shirts that we had available. All gone. 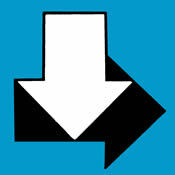 Thanks for your support, we now only have the new design available. Including t-shirt and shipping, $20/shirt, you can order them at the website. Many, many thanks for the huge response. 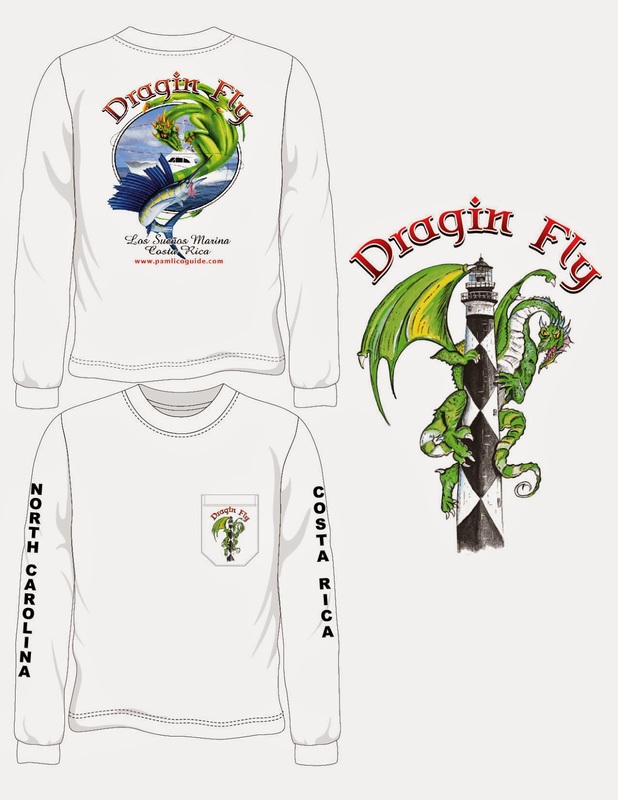 If any of you would like to purchase t-shirts, we are now stocked up in all sizes for the Dragin Fly and our new Mark Ray design commemorating the old lighthouses of the Pamlico Sound. A lot hotter than my snook fishing from the beach today.....although we did catch some nice mullets for bait. Thanks for the video Ben! Sept. 5 in West Bay off Cedar Island we recaptured a tagged drum that measured 28 inches total length.....too big to keep so he was released with the tag in tact. This "yearling" was tagged when it was less than 12 inches long off of Dawson Creek in the Neuse River on Sept. 5, 2012, exactly two years to the day. "Pic from today, had 2 trophies hooked casting and plenty of pups. " And there will be some big drum around right along, although most of them are bugging out on this big moon. the light tackle puppy drum and trout bite should be on fire. Most of them should be heading out on this upcoming full moon, but for now, they're still in the river/sound. Capt. Joe Ward reported 7 releases on the corks this morning! Meanwhile in Costa Rica, the tarpon bite was better than the billfish bite today. Although the Los Suenos boats have been consistently catching blue marlin and sailfish the past few days, we could not find them today and had to settle for dorado for dinner.